Soccer is a never ending sport. On a match level, the clock never stops during play; on a competition level, there’s always someone playing globally. The longest measure of defined time in soccer is the World Cup cycle, the four year period from the end of one World Cup to the end of the next. Experimentation yields to eventual stability, as qualification and continental competitions dot the timeline. It crests in the World Cup, and then it’s time to reflect and rebuild. Coaches move on, players retire, and we go again. 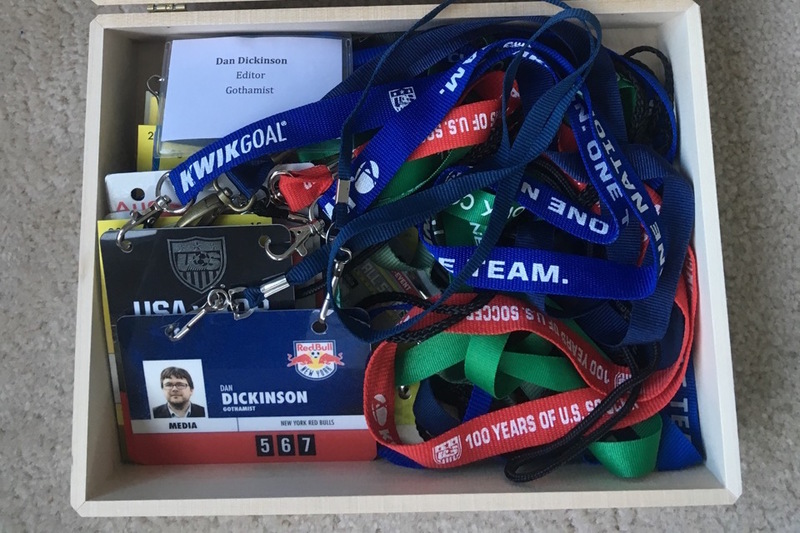 The end of 2015 marks the end of a four year cycle of my own: being a soccer writer. In those four years, I’ve gotten to do quite a bit. I’ve talked to legends, picked brains of coaches, and debated with fans. I’ve broken news, coined terms, weaved narratives, and written a few things that, even to my hyper-critical mind, are worth reading. I’ve co-hosted a podcast for a year and a half, gotten to do color commentary on a professional soccer match, and hosted pre-match coverage twice. And I’ve helped grow a small, passionate soccer community into a giant, passionate soccer community. Which is why now feels like the right time for me to leave the soccer business, at least in the semi-professional sense. Effective today, I’m marking myself inactive. Slow down there, Imaginary Abusive Soccer Person Who Cares Enough To Raise Objections. One of the most eye opening things that I discovered upon being inside the press box is that almost no one is there as their primary job. A sizable chunk have day jobs – IT guys, mechanics, small business owners, etc. There’s a subsection of journalists who do soccer, but usually either cover other sports (typically NFL or NBA) or do other things at their outlets (copy editor, webmaster). The sports journalism business is not doing great, and in a sport that still counts as “niche” in the US, soccer gets a very ad hoc press corps. This was a shock when I first entered the box, but also relieving, because it meant I wasn’t going to be an anomaly. The soccer things I’ve done for the last four years haven’t been a job, but a really professional hobby. That likely sounds insane if you’ve never heard me say it before, but it’s not something I’ve been hiding. Anything you’ve read from me, any podcasts you’ve listened to with me on them – those were all done as an outlet, as stress relief from the rest of my life, as something to pour my energy into. I am not a professional sports journalist by trade. What that all means was also this: I always have had the ability to walk away, if this no longer felt like the right thing to do. The “why”, or even “why now” is tough to answer. I struggled with writing this post at all, because I don’t want to sound bitter, and I’d love to just fade away quietly. But walking away in silence is tough after spending such a long time writing and talking about soccer. So let me boil it down to three quick things: one negative, one positive, and one sort of in the middle. The negative: over the course of the year, I hit some major levels of burnout, to the point where seeing a game on my calendar lead to a groan rather than excitement. I made a joke in my last pre-season piece that I would be “covering all three soccer NYC teams to the utter detriment of his personal life this season”, and boy, was that prescient. I’ve worked 29 games this season, which is about 50% more than a typical season over the last four years. Podcasting has its own stresses, and /r/MLS hit that tipping point of subscribers where it becomes a constant battle to keep the place falling into disarray. Emotional, mental, and even physical exhaustion were not uncommon, and it lead to me indulging some old personality traits in order to defend myself. I’ve made some unhealthy decisions and many times have not liked what I see when I look in the mirror. And so, I need a change. The positive: I went to three soccer games this year not as a media, but just as someone in the crowd. And I realized, especially during the days where the stress was high, how much I missed that. During our two week vacation to Cascadia, I got to take in Seattle vs. Orlando from just above the Emerald City Supporters. 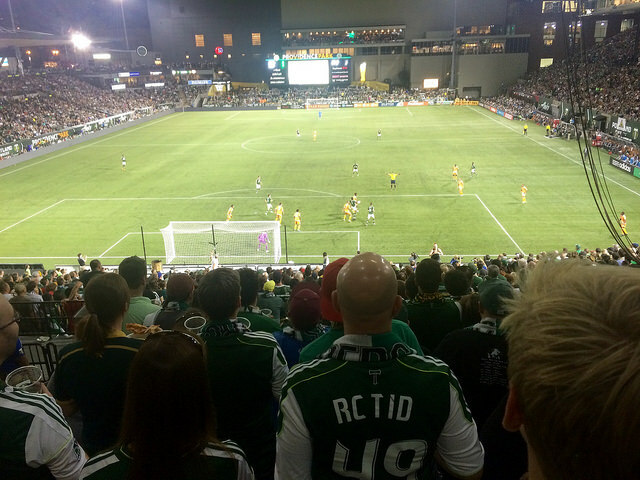 A week later, I stood with the Timbers Army and sang my way through Portland vs. Houston. And not long after that, I paid for tickets to go watch NYCFC vs. Columbus with a friend and wandered around Yankee Stadium, taking in the game from different perspectives. After having to have been “on” for so many games (live tweeting, observing, checking replays, locker room scrums, arguing over social media, laying out narratives), it was nice to just be able to watch a game, to eat some overpriced stadium food, and to be able to go out before and after the match. So, that’s it. That’s the story of Thirty Acres. We took risks—some of them incredibly stupid, but all of them worth it. We are not the people that we were when we opened this restaurant. We know a bit more than we did then, but more importantly, we know how much we still don’t know. And we did do it after all, we opened Our Dream Restaurant. It just turned out that in the end, once we had done it, it didn’t make us happy. I can’t say the soccer journalism role never made me happy – it absolutely did. And even this year, there’s been some wonderful days. It just on a whole isn’t a positive anymore. It’s not filling a hole or gap I feel. And I’m ready to move on before the burnout and negativity overtake all the good memories and leave me resentful. The next most pressing is that after a year and a half, I’m departing Seeing Red, the long running RBNY podcast. I look forward to being able to listening to the show again now that my voice isn’t a part of it. Mark and Eric will continue to be great, and listeners will get some relief from the whiplash hosting lineup that 2015 involved. Lastly, I will not be applying for season credentials for any area team in 2016, and I won’t be writing regularly for Gothamist (or any other outlet) about soccer. I’m not leaving “soccer Twitter”, and I’ll be back on /r/MLS, but I’m forcing myself to take a few weeks off after today, at least until the start of 2016. I need that space to decompress. But I will be back, at least as a voice in the crowd. Eventually. I also must note that this is not secret code that I’ve taken a job with any club or league; that I’ve been sacked; that I’m buying season tickets for any club or joining a supporters group; that I’m leaving the NYC area; that I’m dying of some terminal illness; or that this means anything other than what it says above. I want to close out with some thanks, because the one thing that kept me going with this very strange hobby is regularly being around some incredible people. To Dave Martinez, who has mentored me for four years and occasionally gotten something worthwhile in return: thank you, thank you, thank you. I wouldn’t have lasted as long as I could without your support. I wouldn’t have understood half the things going on without your guidance. And I wouldn’t have grown as quickly as I did without your help. Thanks for the trust, the laughs, and the faith. You’re a rockstar. 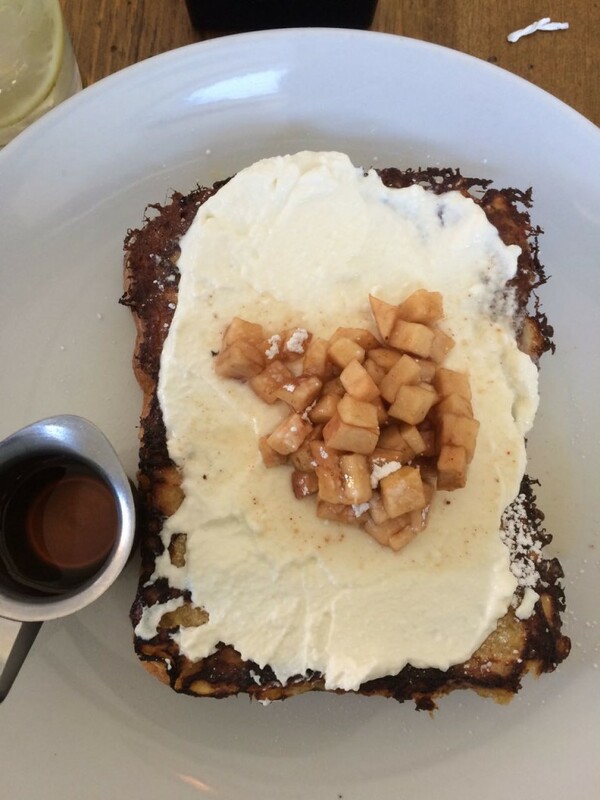 Let’s finally get that brunch soon. 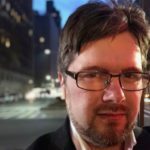 To Pablo Maurer, a guy I met through a hastily planned “trash talk” piece between the soccer guys at Gothamist and DCist: you’re the most underrated and most under-appreciated guy in the business. I wish I had a tenth of the creative spark and drive you did. Thanks for everything – the FIFA games, the endless jokes, and the constant perspective. Let’s catch a game together next year and/or do donuts in the RFK parking lot. To Katie: thank you not only for your support as I’ve been wrestling with this, but for the four years prior. I know it’s been rough at times. I look forward to being next to you at games again, not in front of you. To Mark Fishkin: Seeing Red has always been your show, Mark. Thanks for letting me be a small part of it for a little while. It’s been an honor to be a footnote on its storied history, and I’m really looking forward to the show in 2016. To Eric Giacometti: I was honored to ever have you come to me for advice. I’m not going to pretend for a second I mentored you in any capacity, because you’re already way beyond what I’ve done. Keep writing great things. To Brian Tsao: had any other communications person been running the team when I came knocking, I don’t know that this would’ve happened at all. Thanks for letting me get my foot in the door. To Malena Barajas: thanks for all the lunches and being someone to lean on. May you never be in crisis. To MC Bousquette: never, ever change. To the communications staff over the years at RBNY (Frank, Corey, Joe, Jason, Gordon, Scott, Molly, Paul, and the team who helped produce two Seeing Red Live episodes), at NYCFC (Marty, Sam), and at the Cosmos (Dee, David), thank you all. It’s a shame the fans will never know how hard you all work. Additional thanks to folks at other clubs (Chris Thomas, Jonathan Kaplan, Trey Fitz-Gerald, Daniel Robertson, Lizz Summers, Frank Stanzl) who worked with me over the years on AMAs. To the MLS league communications office (Dan, Susan, Sal, and especially Jane) – thanks for dealing with my random inquiries over the years. It’s been a pleasure. To the /r/MLS mod team: thanks for an incredible ride. Too often people were quick to credit me for team decisions, but it’s always been a team effort. I promise not to jam the “report” button too often now that the “remove” button is gone from my toolset. If you’re in town, drop me a note – beers are always on me. 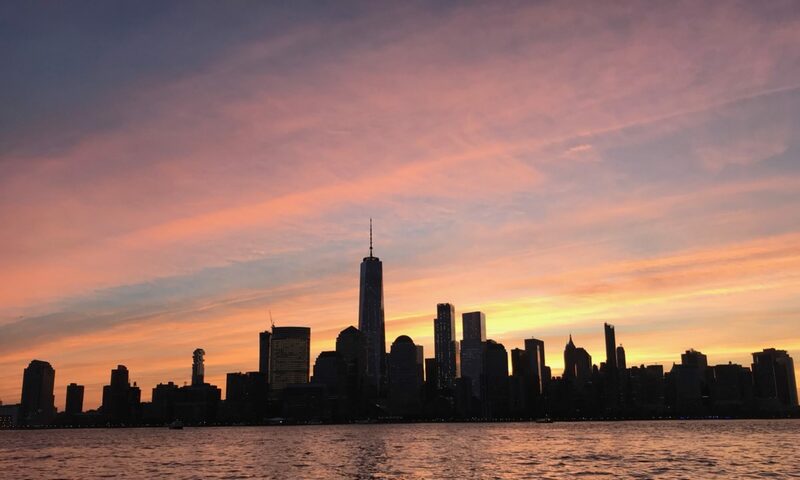 There’s a countless list of soccer reporters both local to NYC and across the country that are all people doing this not because of the paycheck (in cases where there is one), but because they love the sport. There’s too many of you to list without the guarantee of forgetting someone, so I will hedge and just say: thank you, all of you. It’s been an honor to be a peer. To all the players and coaches: whether it was a locker room interview, an AMA, or a podcast appearance, thanks for sharing. I’ve learned so much about this sport. And to the fans, the followers, the subscribers, the listeners, the debaters, the trolls: thank you for the discussions, the arguments, the feedback, the occasional love, and at the very least, listening to anything I had to say. It’s been a memorable four years, and I hope I brightened your world even a little bit. If you’re still reading this, and want to share a drink and some stories, I’ll be at the Seeing Red Holiday Party tonight. Hope to see you there.